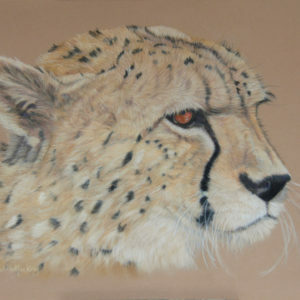 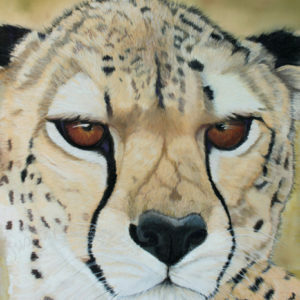 Contemplation - Cheetah The Giclée Print is a faithful reproduction of an original work by Judith MacKay Cream Mount is 28cm x 35.5cm Image size is 18cm x 25.5cm This is a limited Edition Print Run of 100 prints - each print is presented with a Certificate of Authenticity. 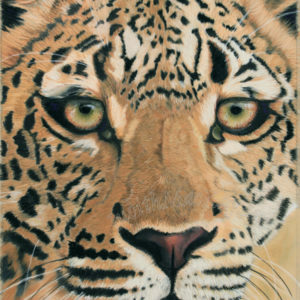 Ingwe - Giclée Print The Giclée Print is a faithful reproduction of an original work by Judith MacKay Printed is 47cm x 35cm in size and presented with a certificate of Authenticity. 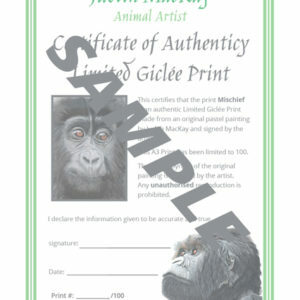 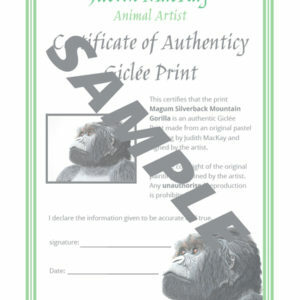 Magumu - Giclée Print The Giclée Print is a faithful reproduction of an original work by Judith MacKay Printed to A3 size and presented with a certificate of Authenticity. 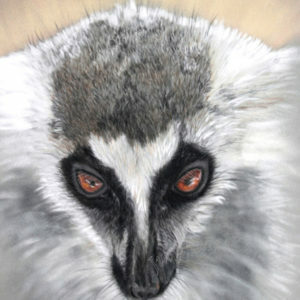 Mischief - Ring Tailed Lemur The Giclée Print is a faithful reproduction of an original work by Judith MacKay Cream Mount is 35.5cm x 28cm Image size is 25cm x 17.5cm This is a limited Edition Print Run of 100 prints - each print is presented with a Certificate of Authenticity. 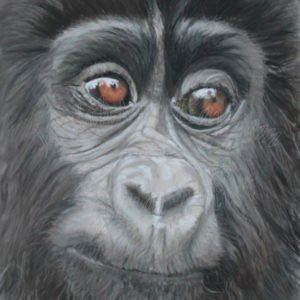 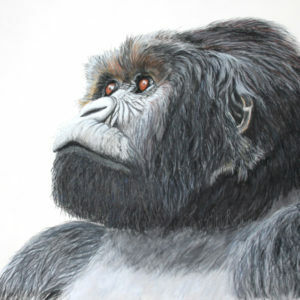 Mischief Baby Gorilla - Giclée Print The Giclée Print is a faithful reproduction of an original work by Judith MacKay Printed is 47cm x 35cm in size. 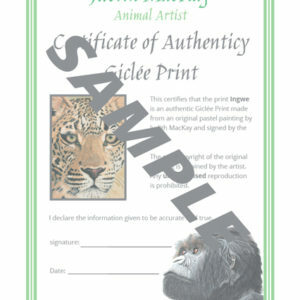 This is a limited Edition Print Run of 100 prints - each print is presented with a Certificate of Authenticity. 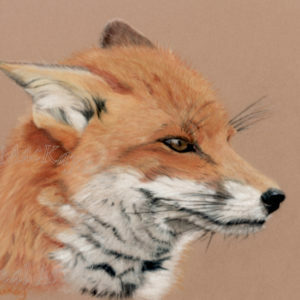 Mr Fox The Giclée Print is a faithful reproduction of an original work by Judith MacKay Cream Mount is 28cm x 35.5cm Image size is 19cm x 26.7cm This is a limited Edition Print Run of 100 prints - each print is presented with a Certificate of Authenticity. 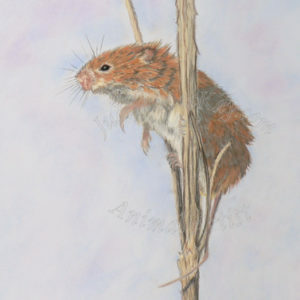 On The Look Out - Harvest Mouse - Giclée Print The Giclée Print is a faithful reproduction of an original work by Judith MacKay Cream Mount is 35.5cm x 28cm Image size is 26.5cm x 17.5cm This is a limited Edition Print Run of 100 prints - each print is presented with a Certificate of Authenticity. 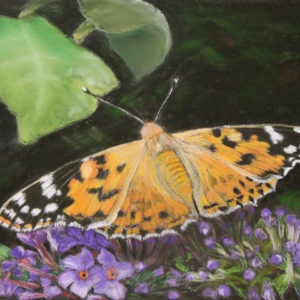 Painted Lady Butterfly The Giclée Print is a faithful reproduction of an original work by Judith MacKay Black Mount is 28cm x 35.5cm Image size is 19.5cm x 27cm This is a limited Edition Print Run of 100 prints - each print is presented with a Certificate of Authenticity. Steady Gaze, Female Cheetah- Giclée Print The Giclée Print is a faithful reproduction of an original work by Judith MacKay Printed to A3 size and presented with a certificate of Authenticity. 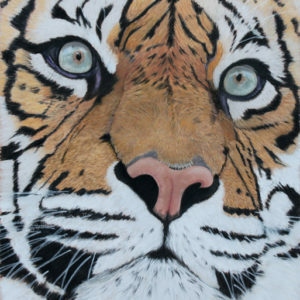 Sumatran Tiger - Giclée Print The Giclée Print is a faithful reproduction of an original work by Judith MacKay Printed on A3 size and presented with a certificate of Authenticity. 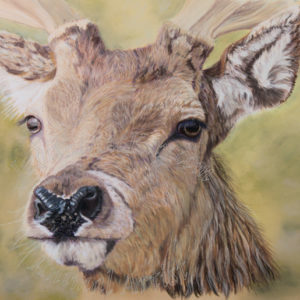 The Red Stag The Giclée Print is a faithful reproduction of an original work by Judith MacKay Cream Mount is 28cm x 35.5cm Image size is 19.5cm x 27cm This is a limited Edition Print Run of 100 prints - each print is presented with a Certificate of Authenticity.